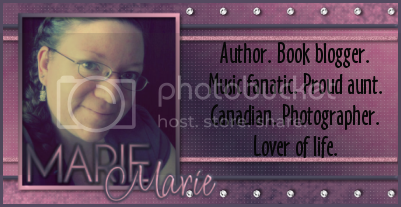 As some of you will remember, last July I had a huge event to celebrate Canadian authors and bloggers. For the entire month of July I had reviews, guest posts, interviews, and giveaways spotlighting Canadian authors, books set in Canada, and some of my favourite Canadian blogging friends. I also hosted a Canadian Reading Challenge from July 1st-31st. It was a lot of fun, but it was also a lot of work. This year I'm not doing the whole event again but I'm still debating whether to host the Canadian Reading Challenge. I posted about it on Twitter and several people said they would be interested in participating. The thing is, with the Get Ready for Summer Giveaway and the Fan Appreciation Giveaway, I'm kind of short on funds, and I don't want to host the challenge without a prize. To me, a prize is incentive to participate - I know I love challenges that have a prize. So I'd like your opinions: would you be interested in participating in the challenge? Would you do the challenge if there was no prize? Would you like to co-host this event with me? Co-hosting would be pretty simple - you'd just create a post about the challenge, I'd make a button with our names on it, we'd link to each other's blogs, there could be a following requirement for the challenge, and we'd either both donate something or split the cost of one prize. Last year I think I did a Canadian book of the winner's choice up to $10 or $12. Would you like to donate a prize? Donate a couple bucks toward a prize? Do you have any other thoughts? I'd love to hear from you guys and see what you think! I'll co-host the event with you. I decided not to participate in the big Canada Day Hop due to financial reasons (and just moving), but I could definitely share in the cost. Plus I love doing the challenge and would hate to see it disappear. Question: Does the co-host have to be Canadian? I'd help co-host (I do live right by the boarder if that helps lol!) and with cost of a prize.